Label up your laundry room in style with this retro door/wall hanging plaque. In a stylish black and white monochrome design. 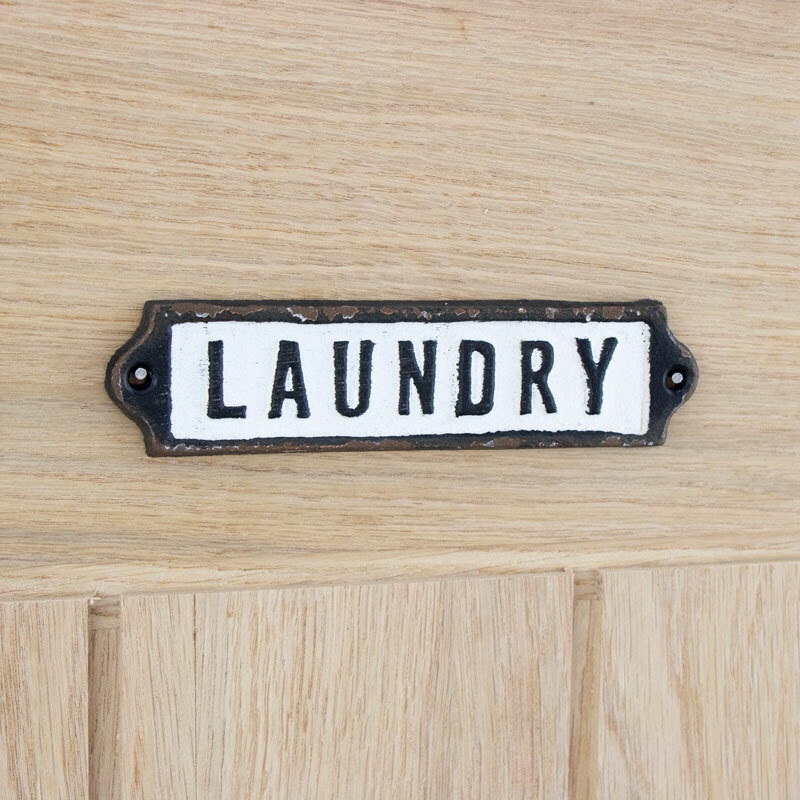 Clear bold lettering that shows Laundry, perfect for labelling the laundry or utility room. Ideal for use at home or for in a retail environment. Made from iron with rustic black surround and white background, aged effect. Easily wall mounted with 2 holes for affixing to the wall or door with screws (not included). We have an extensive range of plaque and signs for decorative and practical use.